is written at the bottom of the page. I am desperate for your help. I am desperate for your wisdom. I am desperate for your miracles. 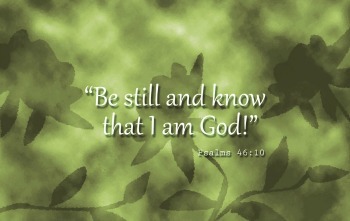 I will remember that you said, "Be still and know that I am God." As I read your words, I will allow you to calm me. I am not desperate - I just feel desperate. I will put on the belt of truth. I will speak truth. I am not desperate; I am safe in the arms of my God. I am surrounded with God's love. I am a much - loved child of the King of all Creation. Change the "am" to "feel" in the first few lines. So it would be: I feel desperate for your help. I feel desperate for your wisdom. I feel desperate for your miracles. The Tornado from the previous video. may seem to fall apart. I found Psalm 46 in the Living Bible. it brought me great comfort. hoping that it blesses you. a tested help in times of trouble. 2 And so we need not fear even if the world blows up and the mountains crumble into the sea. 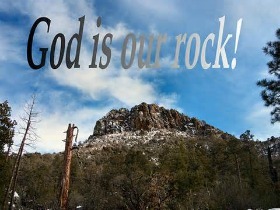 the sacred home of the God above all gods. 5 God himself is living in that city; therefore it stands unmoved despite the turmoil everywhere. He will not delay his help. He, the God of Jacob, has come to rescue us. 9 and causes wars to end throughout the earth, breaking and burning every weapon. 10 “Stand silent! Know that I am God! He, the God of Jacob, has come to rescue us! Psalm 46 Prayer was posted in February 2016.